Building Resilience & Wellbeing into Leadership & Workplace Culture Programs – Discover how Justina Stromnes from Bendelta has approached developing resilience (mental toughness) and wellbeing in leadership and workplace cultural change programs across Australia. The State of Workplace Wellbeing In Australia – As Michelle McQuaid shares the latest PERMAH wellbeing results from workplaces around Australia and what these insights tell leaders and wellbeing practitioners about the practical steps we can help people to take to improve wellbeing for individuals, teams and whole workplaces. Psychological Capital and Creating Everyday Heroes at Work – As Sue Langley explores the positive relationship between Psychological Capital and the desirable attitudes and behaviours employers would want their employees to embrace including job satisfaction, organisational commitment and psychological wellbeing. Best of all you’ll have time to meet a like-minded tribe of positive psychology researchers and practitioners. Every one of them looking for tested, practical ways to make our workplaces better. Justina is a business psychologist and a principal consultant at Bendelta, a Strategic Leadership development firm in Sydney. She draws on 20 plus years’ experience in senior HR and OD roles in large, global organisations and her consulting practices in Australia and South Africa across a diverse range of industries. Over the past 20 years, Justina has designed, led and facilitated over 200 bespoke leadership programs, worked with a large number of top executive teams, coached over 100 C-suite executives, lead culture change programs for large organisations and designed resilience and wellbeing program for organisations dealing with change and complexity. 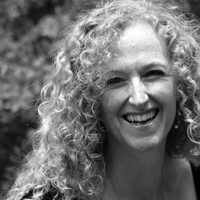 Michelle is a best-selling author, workplace wellbeing teacher and playful change activator. With more than a decade of senior leadership experience in large organisations around the world, she’s passionate about translating cutting-edge research from positive psychology and neuroscience, into practical strategies for health, happiness, and business success. An honorary fellow at Melbourne University’s Graduate School of Education, she blogs for Psychology Today and Huffington Post and her work has been featured in Forbes, the Harvard Business Review, the Wall Street Journal, The Age and more. Sue is a speaker, master trainer, global business consultant, researcher and leading advisor on the practical workplace applications of neuroscience, emotional intelligence and positive psychology. Since founding the Langley Group of companies in 2002, she has used her gift for synthesising science into simple, practical tools anyone can use to teach thousands of business leaders, HR professionals and consultants how to harness the brain’s potential, create positive workplaces and be more intelligent about emotions. *Please note this event may be filmed.